Looking for ways to convert your prospects into loyal, paying customers? Building an email list is the best way to communicate directly with potential customers. Statistics show that the average consumer needs to be exposed to your brand somewhere between 7 times and 13 times before they decide to open their wallets. The primary focus of any effective internet marketing strategy is to keep your brand fresh and within view during this crucial decision-making time. 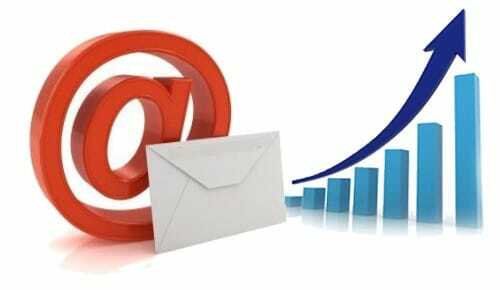 Email list building offers a unique advantage over social media marketing in that it allows you to hold your target audience captive. Having access to email addresses gives you time to foster your leads until they are ready to convert. Incorporating email list building into your small business doesn’t have to be expensive, but it will take time and expertise. Here are a few tips directly from our small business SEO professionals. These guys earn their paychecks by getting small businesses just like yours noticed. From internet marketing and search engine marketing (SEO) to website marketing and social media marketing, they won’t stop until our clients are ranking at the top of Google’s search engine. Lucky for you, they have taken the time to offer advice on how to build a killer email list. First, let’s take some time to discuss how an email list will attract new patients. Captive Audience: Building an email list enables you to communicate directly with your subscribers anytime you’d like. Be sure not to take advantage of this unique opportunity by bombarding prospects with daily messages, however. Constantly seeing you in their inboxes could have the opposite effect and cause your prospects to become frustrated. Finding just the right balance will keep your leads happy and eager to read your emails, making list building and email marketing two of the most effective and valuable marketing tools available to today’s small business owner. Easier to Convert: Just as it’s easier to sell to someone already in your store than shouting at passersby on the street, it’s a lot easier to convert someone on your list than someone who is merely browsing your website. Potential customers have already chosen to subscribe to your list; this means that they are interested in your product or services. They want to hear what you have to say. This expressed interest is what makes your email list highly targeted. Gather Leads: Sometimes a person will visit your website and then leave within seconds, or bounce. As a small business owner, you have no idea why that person left so abruptly. Sure, you can check your analytics dashboard, but this merely provides statistics and unidentifiable numbers. On the contrary, having a name and email address allows you to address each prospect by name and email. You can even monitor how many times your emails are opened and how often your links are followed, giving you the power to not only can track your leads but gauge their interest level as well. Trickle-to-Schedule: Remember how customers may need to see your brand up to 13 times? Having a list allows you to continue contacting them, keeping your brand in front of them, even if that takes weeks, months, or years. Ready to gather subscribers? You can start today by putting these tips into action. These tested and proven tips can work for any small business owner. Prominent Opt-In: First things first, you need an opt-in box. An opt-in box is a section on your website that requests a name and email address. Be sure to place this up front and center. It’s preferable to have it above the page break, meaning visitors won’t have to scroll down to find it. You don’t need a ton of info. Requesting only a name and email works the best. Clear Call-to-Action: Be upfront and honest, tell your visitors exactly what you want them to do. For example, “Sign Up Now!” The following phrases also have proven results: Sign up for our newsletter, get regular email updates here, and subscribe for updates. Start a Blog: If you want people to sign up, you need to give them a reason. Keeping a regularly updated blog will show your prospects that you offer up the valuable information they are seeking. “Subscribe now for regular blog updates,” could entice them to sign up. If your content is relevant enough, people will subscribe because they can’t bear to miss your future posts. Offer Deals & Specials: The most effective tactic for luring in new subscribers is to promise discounts on your services. For example, you could offer 20% off or maybe even free shipping. Everyone loves a good deal, and they also love being able to show off their shopping savvy. If you offer something of value, they will likely tell their friends and coworkers to sign up and get the savings as well. White Paper: A white paper is a formal document detailing your services and explaining why people should choose your brand. You can provide information about your education and experience, detailed information about the services you provide, products you sell, and testimonials from previous customers. Be sure to include a few images of your smiling employees as well. Ebook: Another idea is to offer your subscribers an informational or tutorial ebook. For example, if you specialize in home renovations, you could offer something like, “Are Your Cabinets Showing Their Age? Give Them a Face Lift.” Keep your information fun and exciting but make sure subscribers learn something useful. In other words, don’t regurgitate the same information your competitors are putting out. Keep your content unique, and you’ll have a list full of loyal subscribers. Free Consultation: You could just offer a free consultation to new subscribers. You don’t have to give anything away, but of course, it always helps. Be Transparent: Along with providing something of value, be sure tell new subscribers what happens after signing up. Tell them how often will they be contacted. Let them know that you will never sell or trade their contact information and that you will never, ever send SPAM. If you treat your subscribers with respect, they may reward you loyalty and repeat business. Thank You Page: After your subscribers click “Submit,” be sure to thank them for signing up. Your thank you page should be used to remind them what they signed up for. This is the perfect time to offer your whitepaper, ebook, or discount, and also be sure to provide your contact information for any questions. Constant Reminders: To keep new subscribers coming in, remind readers that you have a list on Facebook and other social channels, and on offline materials like flyers and direct mailers. It’s all about exposure, the more you mention your list, the more people will subscribe, and before long you’ll have a captive audience of targeted prospects to help your small business grow and thrive. Want to help your website and email list convert? Call the SEO professionals at Millionairium at (888) 951-2773 or email us today for a free consultation. And remember to ask about our Pay-Per-Performance program, an unheard-of offer in online small business marketing. And remember, we don’t just help small business owners. Our SEO professionals also help plastic surgeons, lawyers, and dentists. Call us today for a free SEO report and evaluation.